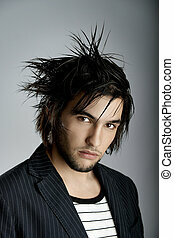 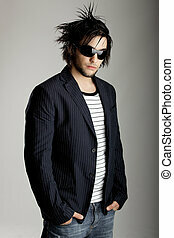 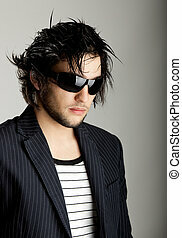 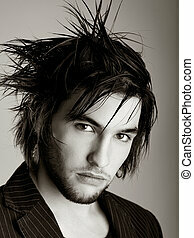 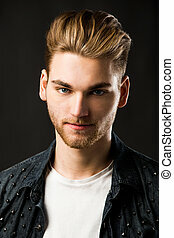 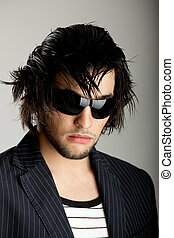 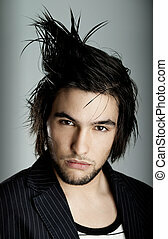 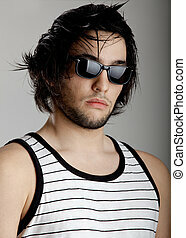 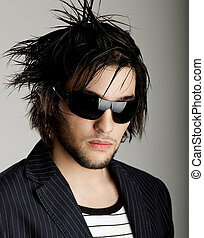 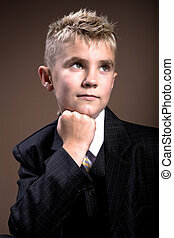 Good looking young man with modern hairstyle over a grunge wall background. 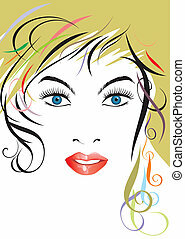 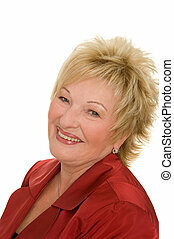 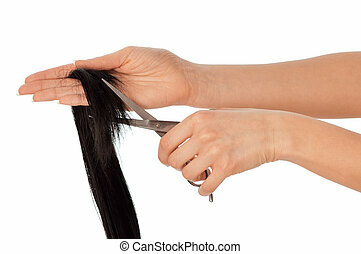 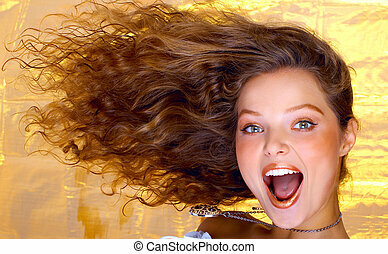 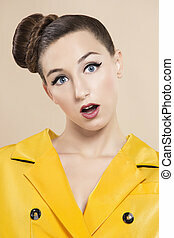 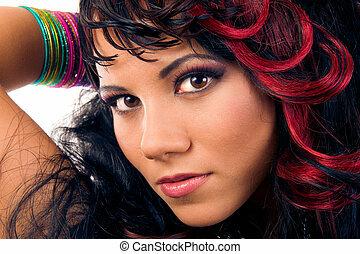 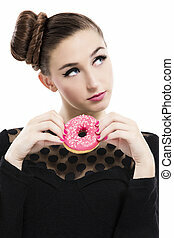 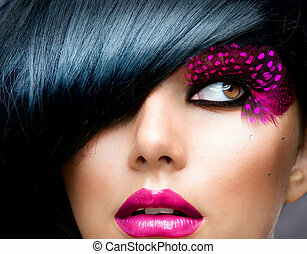 Vector file of beautiful hairstyle lady face. 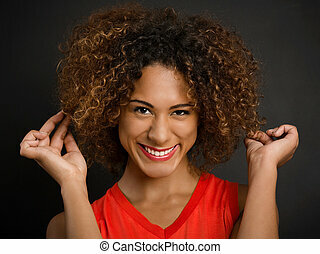 Pretty girl with great fly-away hair. 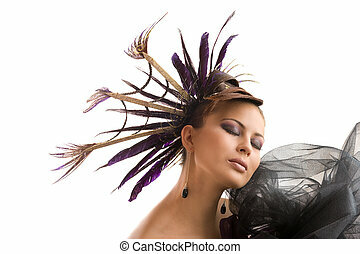 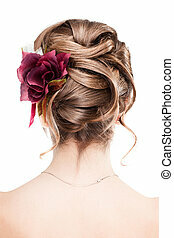 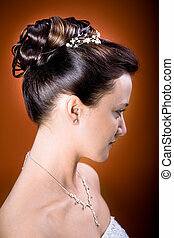 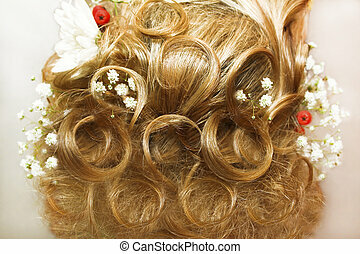 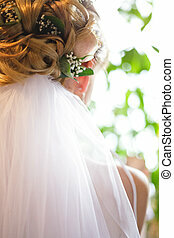 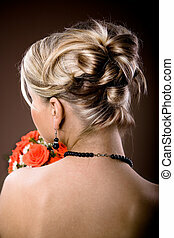 Beautiful light hairstyle on light hair swirled with the decoration of flowers on a woman's head from behind. 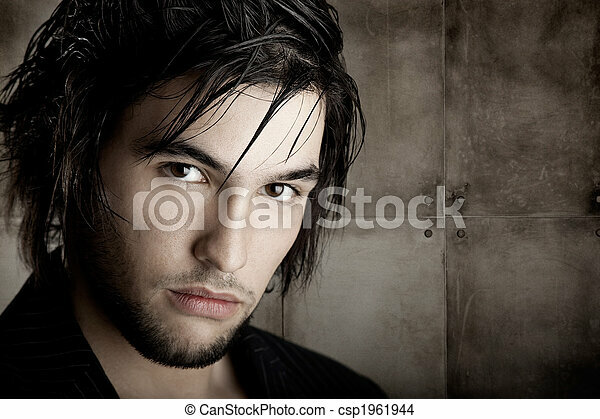 Young father with modern hairstyle.